Firstly a huge thank you to Port Elliot SLSC who were fantastically welcoming, allowing us to join them for Training on Saturday. 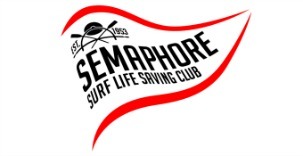 It was an amazing example of true Surf Life Saving Culture – All Age Group Managers and Assistants working together to create a great shared experience for all the clubs that had pre-arranged to train. What a great experience for all our nippers to work together. All in all we had a pretty successful carnival at Port Elliot with all our Age Groups seeing some bigger surf conditions both in Training and on Carnival Day, especially our older Nippers, which they handled really well. A BIG THANK YOU to all our volunteer Officials and Water Cover last weekend. All your efforts are greatly appreciated. R&R State Championships are this Saturday morning and the proposed schedule is shown below. Raelene has asked for all competitors to be on the Beach at 7am ready to compete. If you have to wait for your event you can spend the time with your partner practicing. From Saturday 23rd February a New Training Schedule will be put in place for March Past. Team A from 11am Saturdays and Team B at 12pm. Mandy is also seeking to have an extra training session with Team A which will be advised soon. Age Group Managers will be seeking your nominations for State Championships Day 1 this Saturday. Please consider firstly if you are eligible and secondly if you are nominating for Day 1 now. On this day after training we will be having a BBQ, a free lottery of items purchased with a donated $250 Rebel Sports voucher as well as Age Group Event Champion Medal Presentations, down stairs so please hang around to celebrate all our junior event champions. We have included some general information about the event below with more to follow in the near future.